When starting your standard row garden, you have to find a good piece of land (sunny, well-drained, loose soil), then till it a couple times (weeks apart, so you can plow under the weeds that germinate after the first tilling). If you don’t own a tiller, you may have to rent or buy one (or find a friend who already has one). You might need to go over the land and pick up large rocks or buried treasure. It’s also a good idea to rake out some of the larger clumps of soil before you plant. If you plant in raised beds, you don’t need to worry about most of that. You’ll still need to find a sunny spot, but since you’re not limited to the soil that’s in place, you can pretty much throw that bed anywhere – I’ve known people to build raised beds on top of a gravel driveway! You won’t need to till, because you’re adding a nice soil over the existing stuff. And the beds themselves can be as simple or as fancy as you want. Do you dread watching the forecast in the spring and seeing rain, rain, a small break, then more rain? Unless you have excellent soil and are located on just enough of a slope to drain adequately, getting things planted in a row garden can be a lesson in patience (or madness). Often, the ground is so saturated (at least here in Ohio) following the winter thaw that it can take weeks to get the soil to a point that it’s able to be planted. 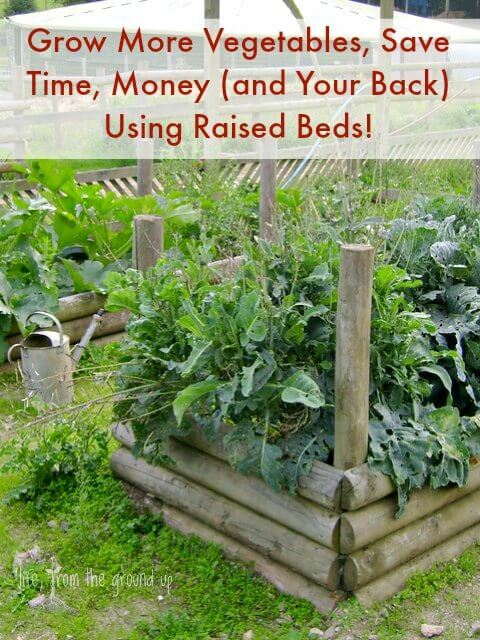 With a raised bed, the soil will dry out quicker than the surrounding area because it’s, well… raised. This means that if the sunniest spot in your yard is also a low area that drains slowly, you can still take advantage of the location and not worry about your plants drowning. The elevation also ensures that the soil in the bed will warm up sooner than the rest of the ground, so the seeds you plant will be able to germinate more quickly. Raised garden beds also lend themselves perfectly to cold frames, low tunnels, and other season extenders, so you can harvest much later in the season – even here in Ohio, I am able to harvest some greens all year long using a cold frame! Gardening often involves a lot of squatting, bending over, and other activities that get us closer to the ground. 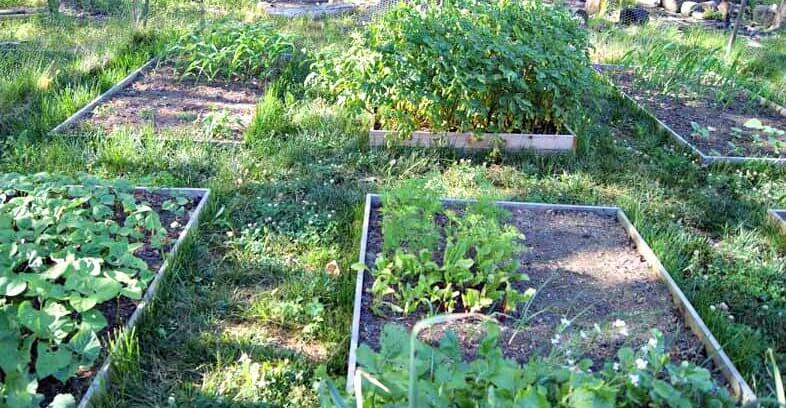 Depending on how raised your raised bed is, that activity can be reduced or even completely eliminated. 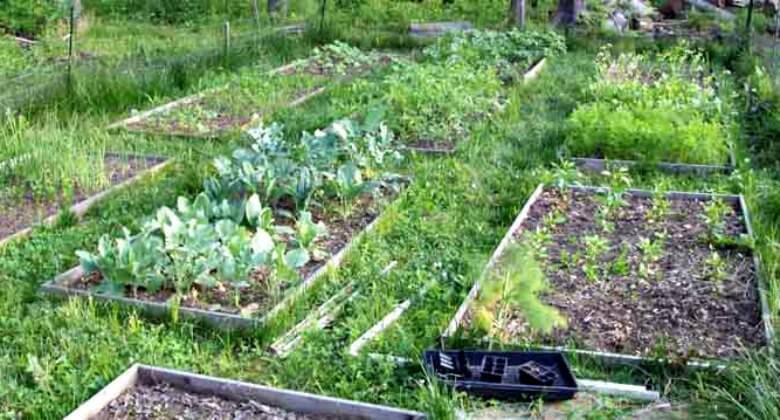 I’ve seen numerous examples of people who build raised beds that are two, three, or even four feet high – if everything is at waist level, there’s absolutely no more bending required. These beds will obviously require more fill, so there’s that to consider, but the benefits are certainly worthwhile, especially as we get older (and so do our knees and backs). Let’s say you have a 20′ x 20′ area that you use to plants rows of vegetables. That’s 400 square feet of garden that you’ll have to take care of (tilling, weeding, etc.). That gets old, and that’s a lot of wasted space, considering that most seed packets will tell you to plant rows two or more feet apart. 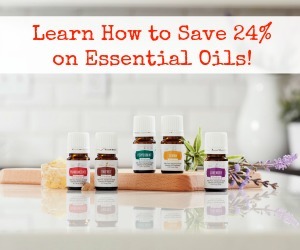 Out of all that area that you maintain, you’ll actually be utilizing less than half of it to grow anything (not including weeds) – not terribly efficient. 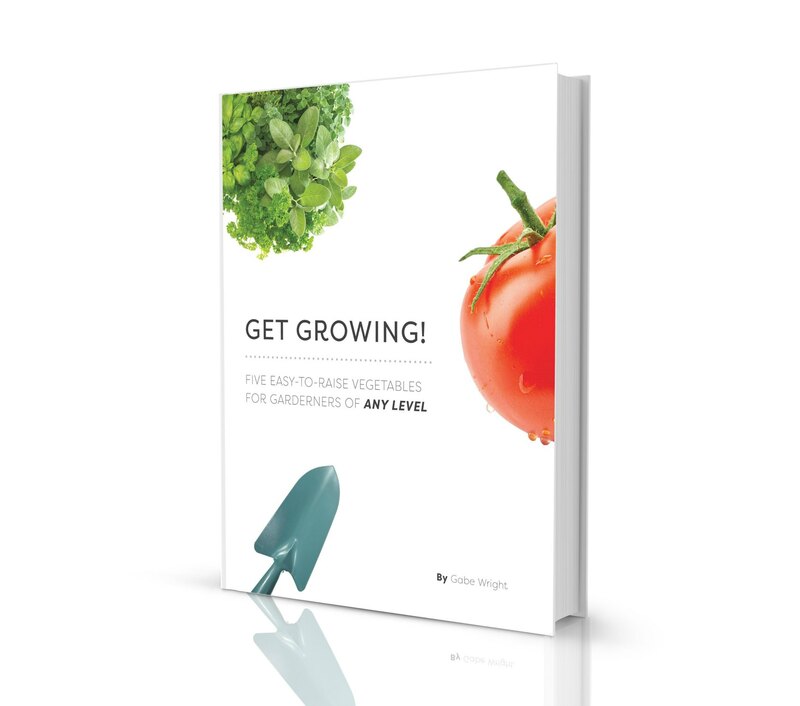 If you instead build six 4′ x 8′ raised beds, you end up with about 200 square feet, and because you’re actually using every square foot, you’ll probably end up growing more in that space than you would in your 20′ x 20′ row garden. Weeding and watering are two vital but not overly glamorous tasks that need to be done, whether you like it or not. Having everything in a concentrated area makes those necessary tasks quicker and easier. You won’t be watering unnecessary space in between rows, like you would with a sprinkler; a watering can or hose is all that’s needed to make sure you target the actual plants. You also won’t need to weed that empty space in between rows either, because there are no rows! Just remember, while it’s less painful because it’s quicker, the weeding still needs to be done – if you let some crabgrass or dandelions go to seed in your raised beds, they’ll be coming up for years. If you can keep the weeds down for a couple years, your job should become progressively easier as there will be fewer and fewer weed seeds to germinate. Unless you live in an exceptionally fertile area, the soil in your raised garden beds will probably be better than what occurs naturally in your area (case in point: unless I want to grow my tomatoes in solid clay here, I need to do some serious work on the native soil). This soil will be better draining (most plants don’t like wet feet), and as we mentioned earlier, it will warm up faster in the spring. Another benefit is the fact that you won’t (or shouldn’t, anyway) be walking all over the soil within the beds. Plants’ roots like airspace in the soil, and the more you walk on it, the more compact the soil becomes. This makes it harder for the roots to breathe and harder for water to penetrate down to lower levels where the roots can get to it. So How Do I Create These Raised Garden Beds? At its most basic level, the raised garden bed is extremely simple: construct some sort of elevated container and fill it with soil. 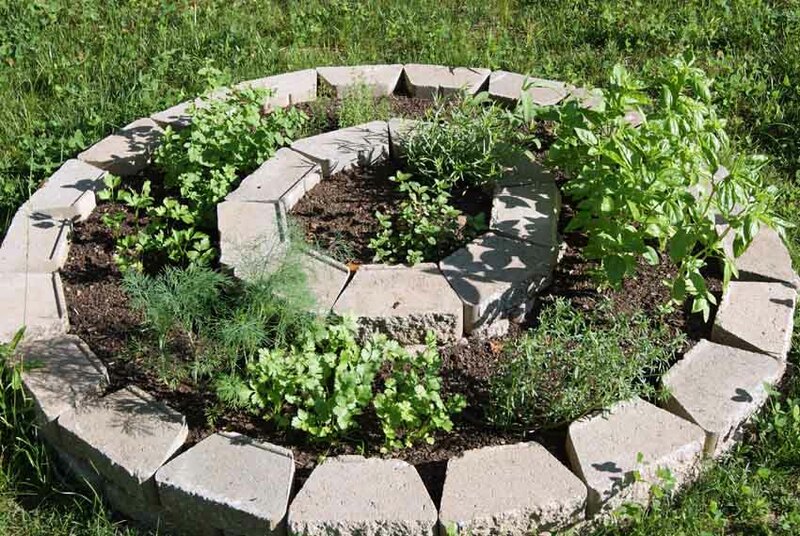 Raised beds can be made out of almost any material – here’s one of my herb beds. For fill, I usually use a mix of topsoil, some peat moss, perlite, or vermiculite (something to give it a little looseness; should be able to find any of these at your local garden center), and some compost. You can certainly fill it in with whatever native soil you have, but you’ll still probably want to make some amendments. Another note: depending on how many beds you’re making, you may want to buy soil in bulk if you need to purchase; it can take a lot of bags to fill up a few beds, and going that route will almost certainly end up being more expensive than getting a truckload of topsoil, so keep that in mind if you’re going to fill more than a couple. 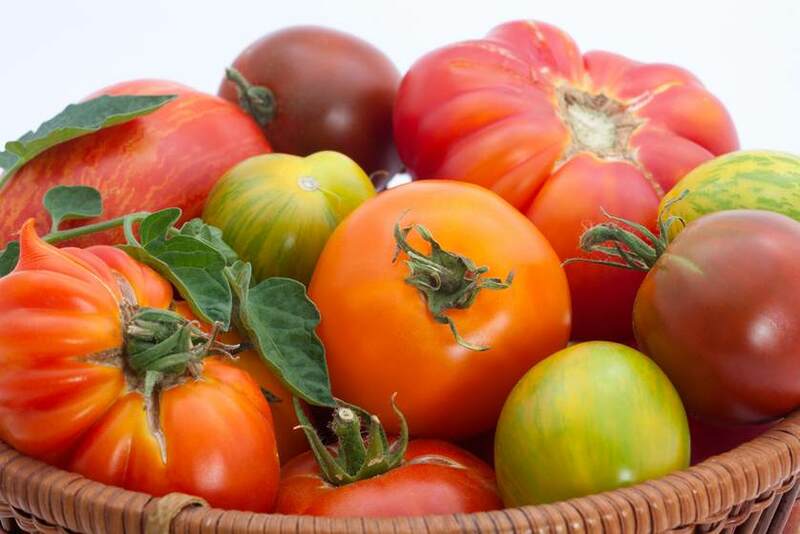 In general, try to keep them no wider than what you can comfortably reach into from both sides (remember, you don’t want to be walking through them much if you can help it, so make sure that you can get to that tomato plant in the middle of the bed). This will probably be somewhere between three and five feet for most people; because most boards come in 8′ lengths, it’s really convenient to cut one in half and use that as your width. Feel free to put your own personal touches on your beds – good luck! I learn a lot of gardening ideas,thanks.